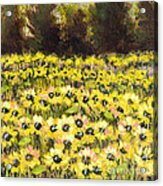 Sunflower Field Series W Silver Leaf By Vic Mastis by Vic Mastis - 7.875" x 8.000"
Sunflower Field Series W Silver Leaf By Vic Mastis art print by Vic Mastis. Our prints are produced on acid-free papers using archival inks to guarantee that they last a lifetime without fading or loss of color. All art prints include a 1" white border around the image to allow for future framing and matting, if desired. 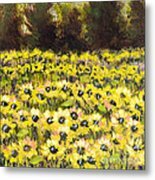 There are no comments for Sunflower Field Series W Silver Leaf By Vic Mastis. Click here to post the first comment. 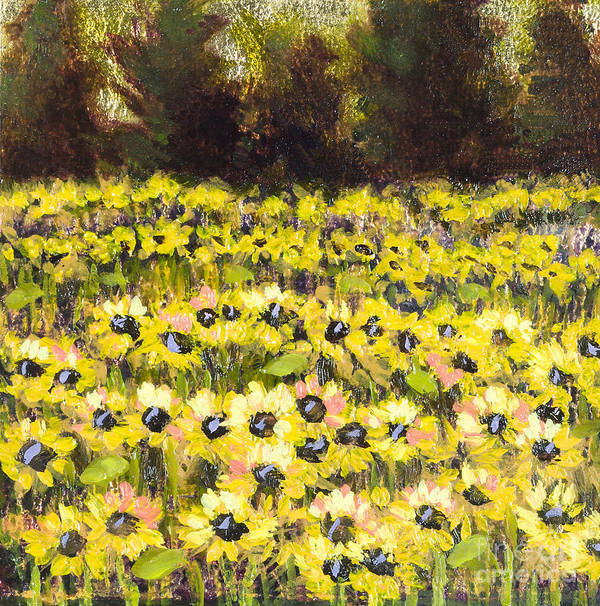 This was a field I came upon whenI was traveling to Colorado from Kansas, Just had to paint them!!! Evolving through extensive experimentation, Vic Mastis, a St. Louis artist, has created a unique oil painting technique of multi-layered paint and gold leaf. 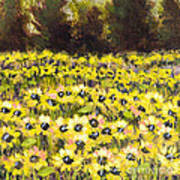 The result of her technique, along with her daring brush strokes and subdued colours, is a collection of landscapes and florals that exude sensual romanticism and elegant reminiscence. In addition to founding Gateway Pastel Artists, Vic's work has been seen in the Edward Hopper House in Nyack, New York as well as in Florida's Fort Walton Museum. Through these and many other venues, she has won many awards. 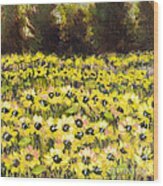 Her paintings are found in various private collections, including Anheuser-Bush, The Cancer Center at St. John's Hospital, Dr. Hartmann and Instrument Music Store..